A freebie from other freebies! Here is a flat design office theme using the graphics I found here: https://community.articulate.com/download/flat-office-asset-set Demo: https://goo.gl/di5EIw Comments are always appreciated! That's really nice Alyssa, love the flat look! That's really nice looking Daniela, and very usable. Only suggestion I would make is to change the colour of the menu items once you've viewed them. As they are I could barely seen them against the similar colour background. You can change it in the Player under List item > Viewed item Great work! Thanks Veronica. I meant to do that but have been rushing this week. I appreciate your comment! Nice Daniela, I like that you gave the option of viewing the Objectives, or not. I appreciate your comments Linda. Also, thanks for your suggestion to use a different browser which resolved my issue! You're a game changer ! What an ah-ha moment that was for me!! That looks really nice John, clean and simple. A nice set of slides, John! Nice combination of interactions John! Hi All, Expedite Learning would like to present an example of its Course Starter pack to all Articulate Storyline Community members. 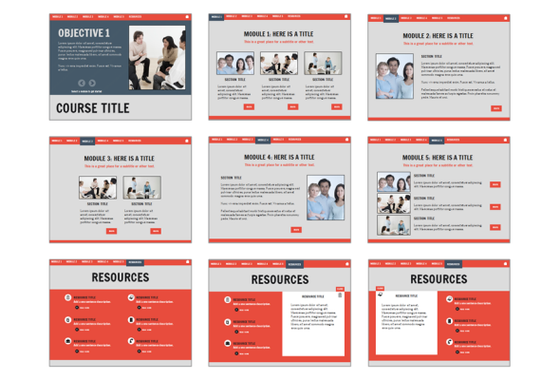 Our Course Starter pack includes 12 unique templates designed to meet the varied content and creative requirements of e-learning developers. It follows a business theme and presents photographs that mimic typical business situations. 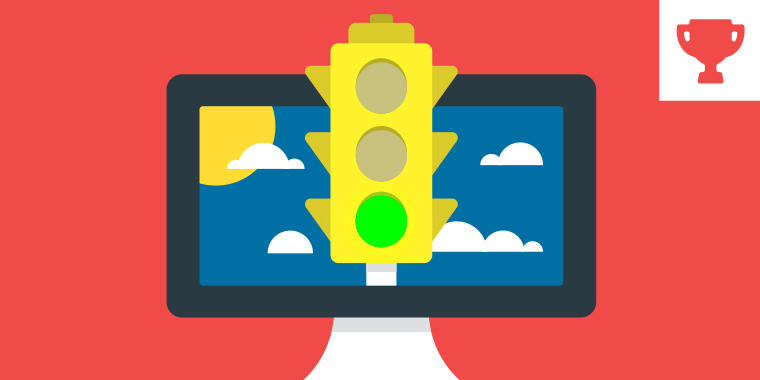 This course has been designed in view of instructional designing principles that lay emphasis on learner attention, engagement, and satisfaction. Please click the following link to view an example of Expedite Learning’s Course Starter pack - http://www.exultcorp.com/projects/xSPEEDite/Course_Starter/story.html Thanks! Welcome to the challenges, Maxanne! Too late to be nervous now, you're officially in the recap: https://community.articulate.com/articles/course-starters-elearning#MaxanneWhitehead Your template turned out great! I really like Quiz Question 2! 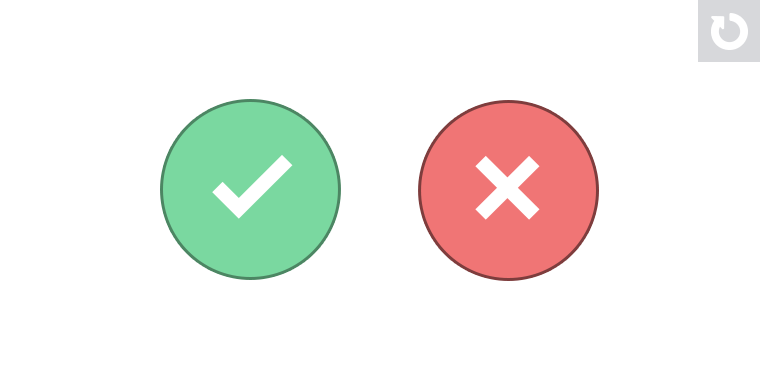 If you like, you can pull that slide out and submit it to last week's Dos & Don'ts Challenge: https://community.articulate.com/articles/showing-dos-and-donts-in-elearning Thanks again for sharing this week! Thank you David! Whew - nerves are gone and I am excited to work on more challenges. Thank you for the positive feedback and the welcome! That was nice Maxanne! Welcome. Welcome Maxanne! Nothing to fear here, you did well. Thank you Linda for the support! Hey Heroes! The recap is posted: https://community.articulate.com/articles/course-starters-elearning Thank you all so much for making this one of the best challenges ever! The layouts, designs, and overall templates you shared this week are some of the best we've seen. REMEMBER: The challenge is still open. If you'd like to share your course template idea, please post a link to your example in the comments (below) and I'll feature your work. Wow. Dave, amazing effort with the recap, capturing all layouts! Nicely done, and really helps narrow down which ones different people might want to download, thanks! Great work, as always Nancy. Did you bring these critters home from your recent vacation? Only the goat and the turtle. The rest were from other trips. Thanks David. I started this one for the tab challenge and finally got it finished. Friday already?! Well David, I've just finished my submission, so I'm hoping you will update the recap to include mine! This has been a really great challenge as spending time on serious template development is something I've had on my to do list for a long time. 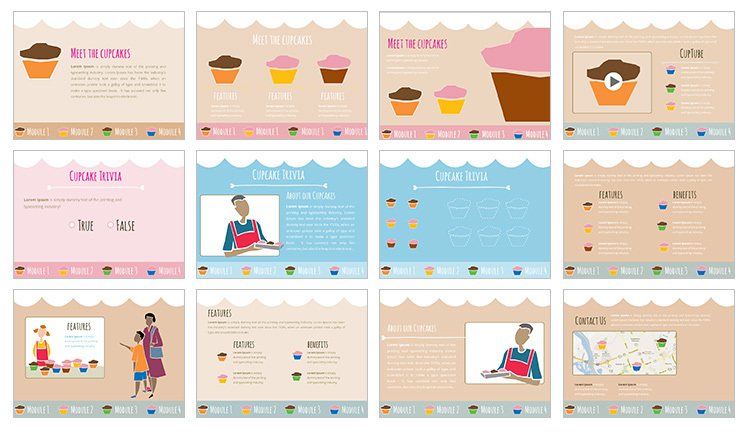 Here's a link to my blog post on how I designed my course starter template. You can view the demo from the blog post. http://bit.ly/1MXIxyB Enjoy! Hey Dianne, beautiful colours! Just a heads up that the link goes directly to the live demo, not the blog post. You're too quick for me Veronica!! I tested after I posted (and tweeted) and realised I got it wrong - I've just updated the link - thanks for the heads up though!! Welcome to the challenges, Nantana! I really enjoyed your slide layouts! 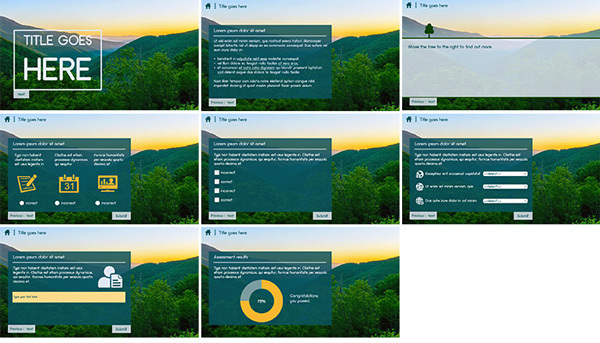 I just updated the recap to feature your templates and .story download: https://community.articulate.com/articles/course-starters-elearning#NantanaWongtanasirikul Thanks so much for joining the challenges! That is so good Matt, excellent! Hi All, A little late, but here is my entry of this weeks challenge. I also included a #Stickman figure (more free poses coming soon). View http://www.eyespirations.com/wp-content/uploads/articulate/challenges/challenge%20123/story.html Download http://www.eyespirations.com/wp-content/uploads/articulate/files/challenge%20123.story Enjoy! Thx David, Less is more. ;) All is going well, just finished some nice projects and now preparing a two weeks trip to Thailand. My pleasure! You shared a really cool template this week. Thanks, Karlis! Thanks Tania, this one is beautiful. That's just gorgeous Tania, well done! Lovely template! Soothing colors and smooth animations... Navigation is just awesome..
Have I mentioned how much I enjoyed this week's challenge? Here's my submission: https://19f4d5d1cb684f40d35de149f8e667d817794de4.googledrive.com/host/0B2LnnvmEPE5qSzdOS212R1ZrOW8/ I have created a minion template which includes: Splash screen, objective slide, menu slide, one module with content and assessment. David, I don't have any idea about how to upload the Storyline 2 source file. Please let me know the steps for the same. Hope you all like it! Hi Parichaya! A great way to upload your file is to post it in the BBC forums: https://community.articulate.com/forums/building-better-courses Use the keyword "free" or something similar in your title and I'll find it. The benefit to sharing source files in the forums is that other folks who don't follow the challenges will find it. Hi David, Thank you for the suggestion. Did you go through the minion template? I am waiting for the feedback :-) I will surely upload this in the BBC forum. Hey Parichaya! I just updated the recap to feature your work and source file: https://community.articulate.com/articles/course-starters-elearning#ParichayaKanungo Thanks again for sharing in this week's challenge! Welcome to the challenges Solange Richard! Really liked the layout, colors and animations. I like the idea of the hidden menu. Personally I would go with a "mouse over trigger" at the bottom of the page to reveal the menu. This way it would avoid the extra click to move to the next page. Welcome to the challenges, Lynee! Thank you so much for sharing in this week's challenge. Your course starter looks great! I just updated the recap to feature your work: http://bit.ly/1SVj9iW Thanks for sharing your template, too! This is one of my favorite examples yet! Outstanding!